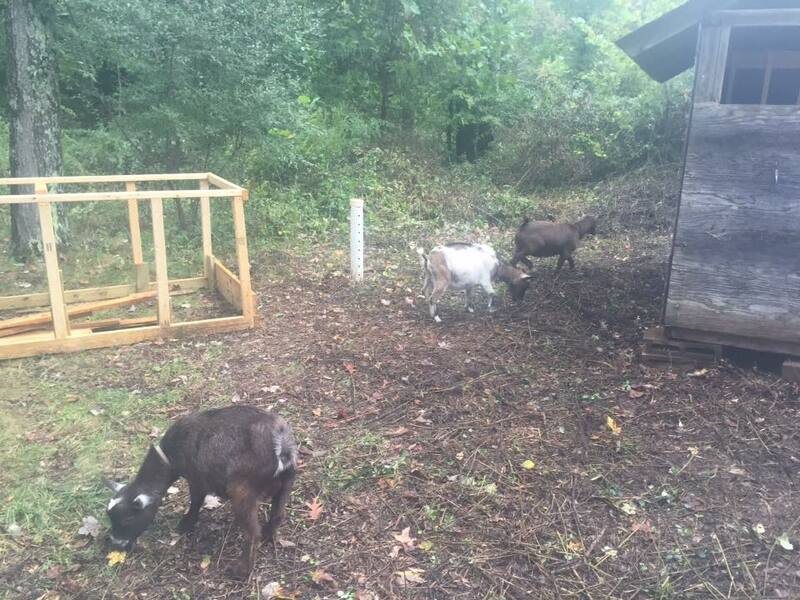 Meet Our New Goats, Ellie, Romulus, and Remus! After doing about a months worth of research on buying goat sheds, I came to the conclusion that I was going to have to build my shed. Unlike chicken coops, there doesn’t seem to be any cheap and used goat sheds on Craig’s List and to buy a new one was way out our price range. So the plan was to start building my goat shed towards the end of the fall, when there would be less weeds in the enclosure. That was when I saw a posting on our local 4-H Facebook page listing a few goats up for adoption with the shed and other goat supplies included. Well that was way too good a deal for me to pass up! Now, we’re the proud owner of three goats, Ellie, Romulus, and Remus. Ellie is the ripe old age of 13, but Romulus and Remus are fairly young at 3 years old. I definitely want to buy some Nigerian Dwarf goats for the purpose of milking, but I’ll probably wait until spring or so. 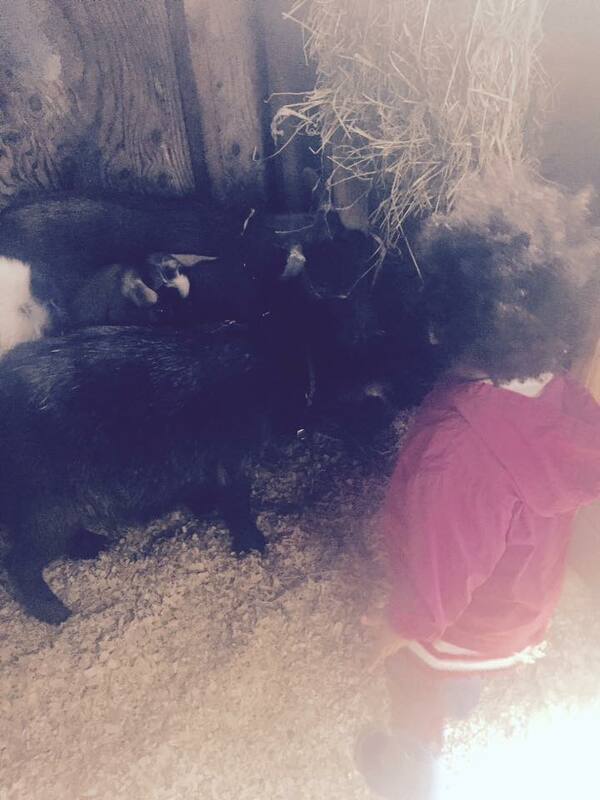 The best part of having goats is how much my daughter loves them. She can’t get enough of feeding them. And they’re so mild-mannered they make perfect companions for a rambunctious toddler! I would love to have a goat, our small block makes that impractical though. Good luck with yours! I was actually quite surprised that the couple we adopted the goats fro lived in a pretty suburban area with a tight row of houses. They had just enough room in their backyard, and I guess none of their neighbors complained!